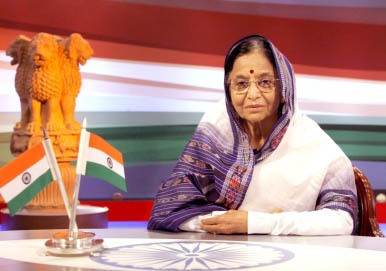 25 Jan : With plans for a new security architecture under discussion, President Pratibha Patil on Monday said the government would provide high vigil and take necessary action to address country’s internal security. “Government is committed to maintaining high vigil and take appropriate measures to address internal security challenges,” she said in her address to the nation on the eve of 60th Republic Day. The President said the country has been a target of terrorism for more than two decades and the government has taken and will continue to take necessary steps to tackle threats emanating from terrorism. “It will continue to work with the international community to combat this menace,” she said. Her remarks assume significance in the context of Home Minister P Chidambaram recently unveiling braoadlines of a new security architecture he would like to be in place to tackle terrorism. Referring to the significant strides made by India and it becoming fourth largest economy of the world in terms of purchasing power parity, Patil said the country’s target of achieving a double digit growth rate is plausible and realistic, given its impressive performance during the last decade and its resilience during the global economic downturn.